What types of product imagery earn ecommerce sales? The Takeaway: When it comes to product content, imagery is incredibly important. Read on to find out what exactly shoppers are looking for before buying online - we've got the data to support it. Shopping is a tactile experience. That's a problem in the digital world, as you probably know. So, you must devise a way to provide consumers with a shopping experience that engages the senses. That's where product content comes in. With detailed item descriptions, your customers can imagine what your product can do for them. With ingredients and materials listings, shoppers know what goes into your products. With product imagery, consumers will literally know what your product looks like and what it does for them. "Product imagery a huge role in online shopping." And at the top of shoppers' priority lists stands product imagery. It plays a huge role in online shopping: Without photos and videos, consumers will have no idea what they're buying. 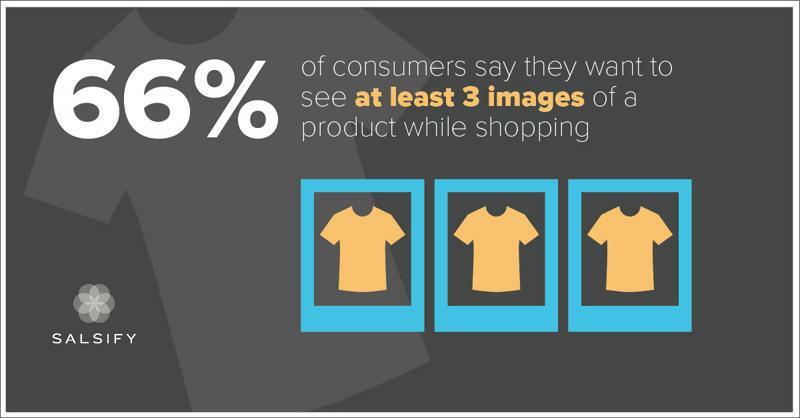 But what exactly do shoppers want from your product imagery? 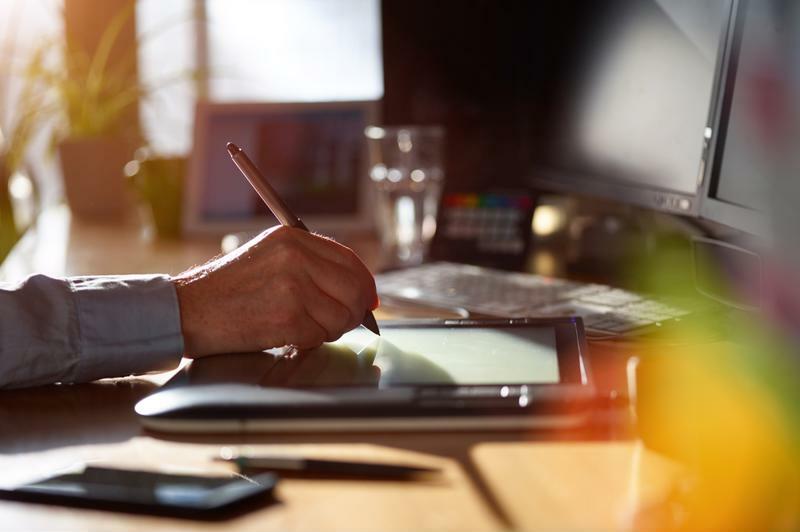 How can you use product imagery to drive sales? For starters, you need at least three pictures of your products, according to 66 percent of shoppers who took our recent survey. This is primarily because consumers want complete 360-degree views of items. They demand to see products from every possible angle. Download "Cracking the Consumer Code" today! But that's not all. If you take poor-quality photos or use other ugly imagery, it doesn't really matter how many images you display on Google Shopping or product pages. A Nielsen Norman Group study that found consumers said they were "better informed" after viewing clear, high-quality product imagery, as cited by eHouse Studio. Our research supported this finding, as shoppers stated that "not being able to read fine print on [a] box" is a major concern. To sum up, you need to provide your shoppers with pixel-perfect product imagery that shows your product from each and every angle. That way, the item they receive looks exactly like the item online. That's how you earn loyalty and make sales. "Size matters with product imagery." Let's keep this short: Size matters with product imagery. The VWO blog reported on an A/B testing case in which larger product images directly correlated to a 9.46 percent increase in sales. This makes sense, right? The bigger your imagery, the more detail that consumers can extract from it. The recommendation here is to stick with high-fidelity and high-resolution imagery - maybe look at CGI - and perhaps add some additional functionality to make the details stand out. While brands and suppliers don't always have control over the display of their content you can ensure you provide the highest resolution available to enable retailers to do what they do best; convert sales effectively. User-controlled zoom is particularly important on mobile, according to ThinkWithGoogle. The source explained that you need to "put users in control by allowing them to zoom in [on images] as they prefer." Retailers are not able to employ these technologies without high-quality and high-fidelity imagery; ensure you're sending the highest quality you can and reach out to our success team if you need help. It's not just a matter of showing product imagery. Consumers have an opinion and a preference on the way you show off your products. Around 38 percent of shoppers said they are most likely to buy a product if the images only include the item against a plain background. Meanwhile, 37 percent want to see photos of products while in use contextually, and 25 percent want user-generated images from people who've purchased the product in the past. It's also important to note that millennials were 72% more likely to say that photos from others who have bought and used a product influenced decision to buy it. Branded images matter the most - around 75 percent of consumers feel that way. Therefore, manufacturers should supply their own, and retailers should ask for branded images rather than scour the Web for user-generated ones. A variety of product photos is best. Why not have both a photo of your item on a plain white background as well as have an image of it in use? Then, allow your customers to post their own pics, so you can cover all the bases. If you're targeting millennials, you should definitely include social endorsement photos in your mix, and possibly encourage shoppers to socially share their purchases. You can't talk product imagery and not include video, but consumers aren't too excited about product-specific videos yet. Only approximately 30 percent of survey respondents said that video influences their decisions to buy products online while 43 percent indicated otherwise. Additionally, almost 46 percent don't watch videos at all when browsing for products, and 50 percent "like to watch" one or two videos before making a purchasing decision. So what'd we discover about product imagery and video? Video isn't too impactful - your photos must provide the detail. All of that said about video, our survey did not specify product categories, so interest in this form of product content could certainly vary depending on what items shoppers are looking for - some products are definitely more interesting when demonstrated, so video will obviously help in a bunch of cases. When all is said and done, the fact that consumers want product imagery isn't exactly breaking news. However, it is valuable to know what types of imagery your consumers are looking for. This ensures that you're creating product content to satiate their needs and drive sales. And at the end of the day, that's what matters the most.